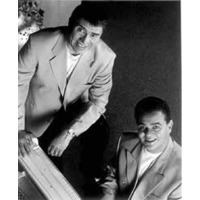 ichie Ray & Bobby Cruz are an American musical duo consisting of Ricardo "Richie" Ray and Roberto "Bobby" Cruz. The duo was formed in 1963 and rose to fame in the mid 1960s. They are one of the most famous interpreters of 'salsa brava' music.